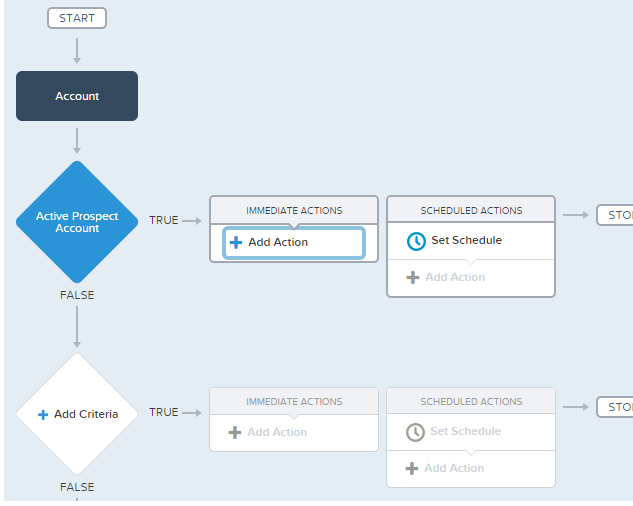 Just got a chance of working with Process builder, amazing stuff, covering everything that a workflow can do as well more than that, you can create records or you can call your Apex class to perform you custom logic. It is fast, easy to use and awesome look and feel. I am assuring you once you start using it, you will stop using workflow. 2. Click "New" button in right corner. 4. 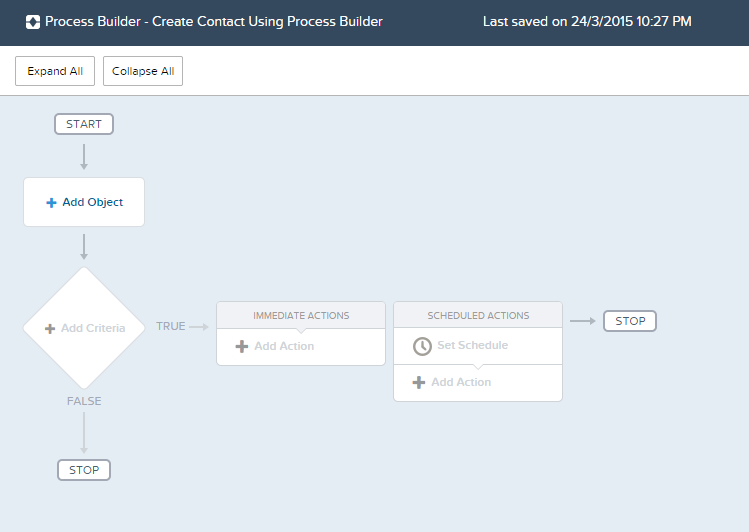 Here is the way process builder shows the logic in the way of a flow diagram, too easy to understand. 5. Click on the Add Object down to Start box, there is a picklist of all the objects and click "Save"
6. 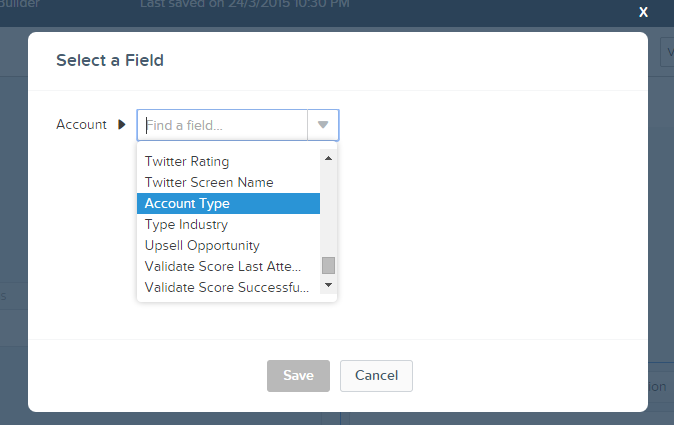 Select Field of the selected Object from the picklist for the criteria and click "Save"
7. 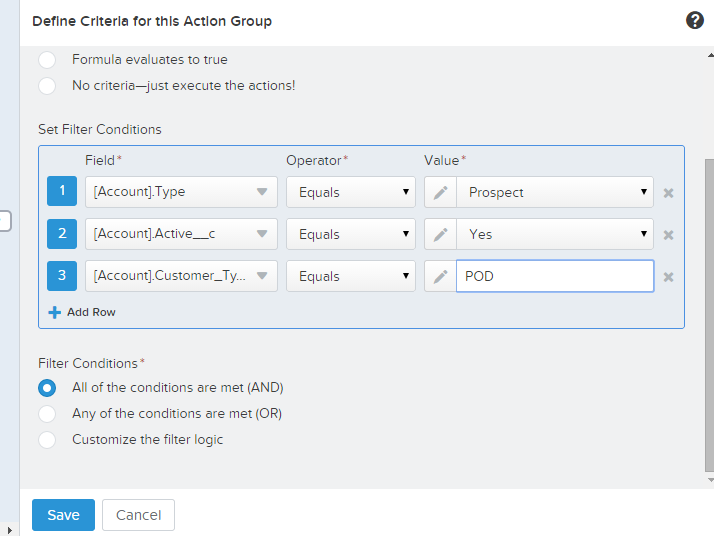 Now you have selected the Object, now click on the Add Criteria to add criteria same as workflow you can use formula as well, I tried that one and that is also easy to create. 8. 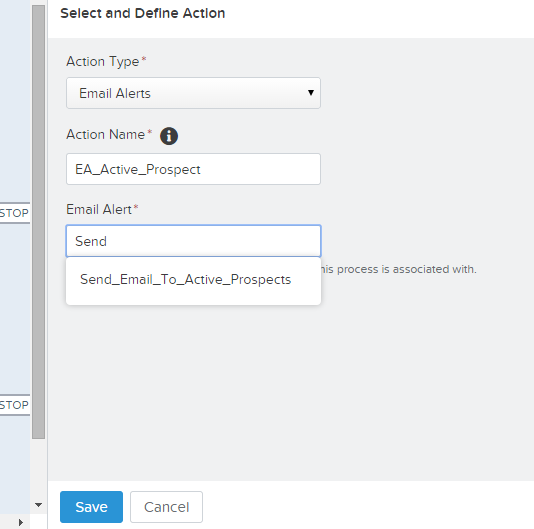 Now you are done with criteria, it is highlighted, time to add the action, click on action. 10. Now you are done, isn't that quick and easy, now in the right corner of the screen there is Activate button, click on it, and you will get confirmation like below. 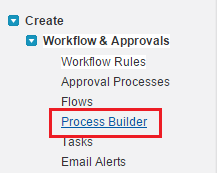 Click OK now you have created you first workflow using Process Builder. 11. Click on "View All Process" to see the process. 1. 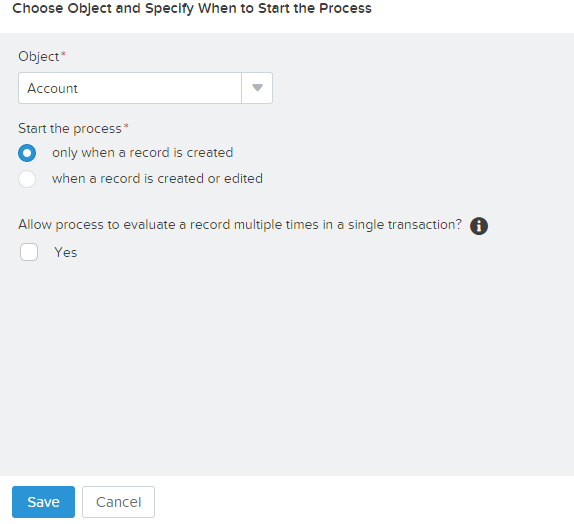 You cannot delete a process builder data, if it is Active, you need to Deactivate it and wait to 12 hours to delete it. 2. You cannot modify it again, you need to clone it and re-create ( I don't know why this restriction, I tried to modify but didn't succeeded). Try it now, May the force.com be with you! !